Our manufacturing facility is strategically located at industrial area in Rajkot, India. Foundry consists of Induction Furnaces with 38 Automatic, 150 manual centrifugal casting machines and automatic shell moulding with core shooter machines. We have proprietary process, developed in-house, to produce highest quality of centrifugal casting. 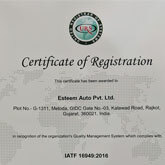 Our goal at Esteem Auto Pvt. 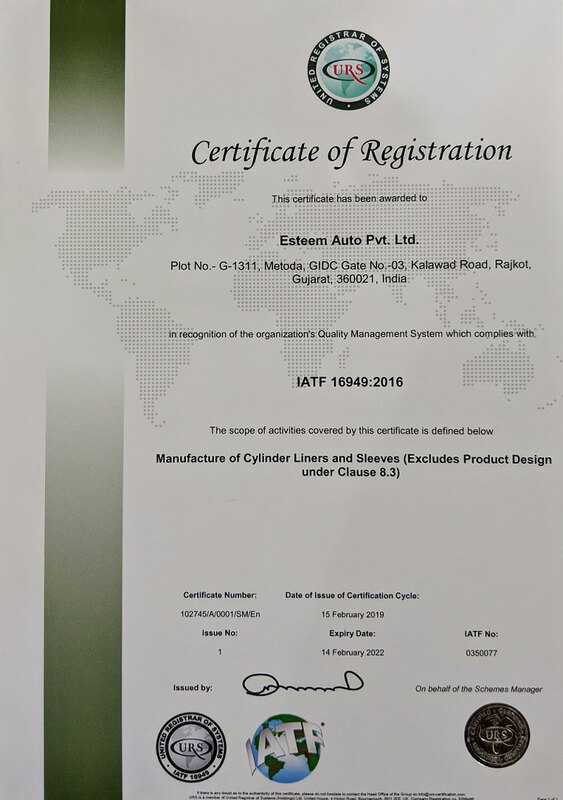 Ltd is to ensure the highest quality of our products and to attain that we follow rigorous quality assurance process. Machine shop has CNC (Horizontal and Vertical), , special purpose boring, Plateau honing, Centre less grinding and custom made lathe machines for the precise job with strict tolerance. We have invested in equipment like various Special Gauges, Roughness Tester, Slip Gauges, Height Gauges, Ferro lab, Metallurgical Microscope, Spectrometer from SPECTROMAXX Germany, Tensile Tester, Hardness Tester, Equator from RENISHOW UK, Roundness Tester Talyrond-565 from TAYLOR HOBSON and Profile Projector etc. to help our QA team do the best job. On-site Spectrometer helps us maintain our chemical composition for each casting batch conforming to the I.S.S., B.S.S. or ASTM specifications provided by our customers. We also have a state of the art Laser-Marking machine to facilitate proper part marking & identification.